115 VAC, 125 VAC, 60 Hz. Enclosed, 4 hole, chassis mount. Units can be run full wave bridge or full wave C.T. Class A insulation (105 degrees C). Conservative designs - CSA certified (209651). NOTE: A production "running change" has been made to the primary winding - effective with August 2009 production. Choice #1 (115 VAC Input): For those customers who need the 115V input - nothing has changed - simply use the White & Gray wires and tape the Black wire (see above schematic). Choice #2 (125 VAC Input): For those customers who are seeing too high a secondary voltage due to higher primary line voltages (roughly 125V input) - use the White & Black wire and tape the gray wire Caution: NEVER connect power to BOTH the GRAY & BLACK wire - instantaneous destruction of the transformer will result! Mounting Center Distance A 2.5 in. Mounting Center Distance B 2.188 in. Fastener Hole Diameter 0.203 in. Packaging Dimensions 8.375 in. x 8.375 in. x 8.5 in. 1 answers Hello! I have a Zenith amplifier with a transformer that smokes. The Zenith PN is 95-1837. 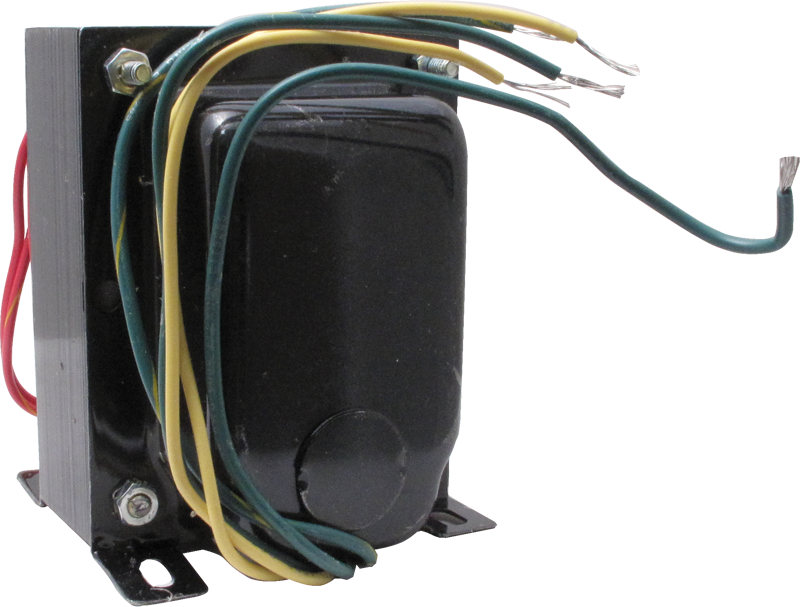 The rectifier winding is rated at 360V ct 360V. The secondary windings are 5V and 6V ct. Do you have a replacement part? We are not sure what part is going to work for you and the best thing to do is take your radio to a qualified repair tech.